IIn a breakthrough and innovative move, South African Tourism’s new brand film, showcases a story of an inspiring, colourful and warm country. The inspirational film – which was shot across South Africa - tells the story of Bheki, a young Mbhaco maker from rural Eastern Cape, who travels the country in search of inspiration for an Mbhaco – a traditional Xhosa wedding gown, with a modern twist. During his travels, he meets the people who welcome him with warm smiles while he samples all of what the many varied cultures have to offer. While he comes across plenty of inspiration for his Mbhaco, he also meets a country teeming with an array of places to visit, unforgettable experiences and warm, culturally rooted people who leave an indelible impression on him. And that, says Chief Marketing Officer of South African Tourism, Margie Whitehouse, is the effect South Africa has on visitors. “We are incredibly proud of our newest marketing showcase as it so vibrantly captures the essence of our country. From the people that Bheki meets along his journey, to the sights and sounds he delights in whilst in cities or the wilderness, his journey mirrors that of every visitor who has come to South Africa and experiences our country in all of its glory,” she explains. “The brand film aims to enthuse, intrigue and inspire people to know more about the country, to visit South Africa and also, to travel around their own country. 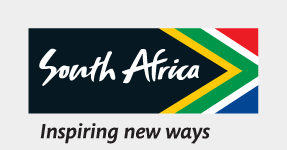 More than that, it is an extension of South African Tourism’s commitment to inspiring people to travel and in so doing, growing tourism arrivals in line with the organisation’s 5-in-5 strategic goal (to attract five million additional international and domestic tourists within the next five years),” says Whitehouse. “South Africa is in a prime position to grow the tourism sector through real inclusive growth, and catapult the country out of its economic slump. This is a sector that can grow and contribute substantially to inclusive growth through a showcase of heritage, art and culture – assets we already own. This is the industry that is most open to innovation making it a perfect environment for small business owners and entrepreneurs from all fields to succeed,” she says. During the making of the film, South African Tourism showed its commitment to nurturing local talent by commissioning local film experts and thought leaders to bring the concept to life. Famed South African film maker, Teboho Mahlatsi, was brought in to direct the film with young, up and coming photographer and Instagram sensation, Hloni Coleman, taking his place behind the lens. Other local names who contributed were renowned South African fashion designer, Maria McCloy, local band, African Rhythm, Laduma Ngxokolo of MaXhosa designs and Black Motion who scored the music. “If one is going to make a film about South Africa, especially one which is rooted in culture, it is best to bring people in whom can creatively execute the concept within the respectful parameters of our culture. It was important for South African Tourism to allow South Africans to express their own interpretation of the country and to contribute to the varying narratives that encapsulate its unique qualities, to be to be viewed across the continent and the rest of the world,” she says. The 8-minute film has also been packaged into a 60 second trailer and five further 30 second trailers. It was released fittingly on September 1, the start of Tourism Month on South African Tourism’s YouTube channel, digital and social media platforms as well as selected international television platforms. To support the film elements, short and long form content pieces will be placed on the website to correlate with the film’s story line. In the spirit of partnerships and collaborative efforts, the content will be available to aid members of the tourism trade to gain destination information along with a rich image bank for future use.